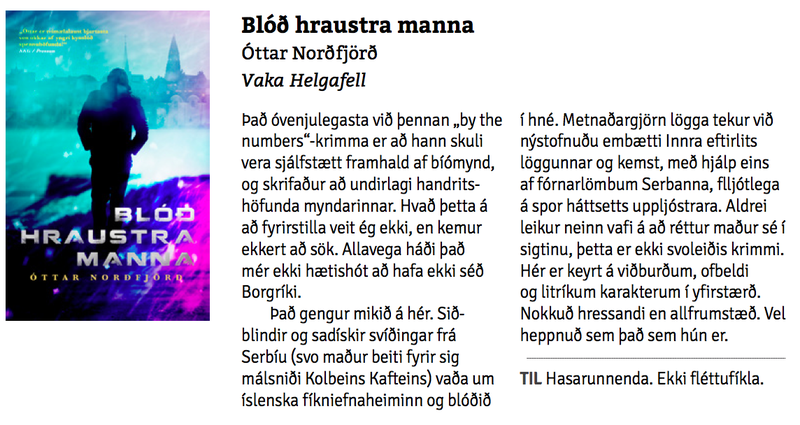 My new thriller got its first review and it's a highly positive one. 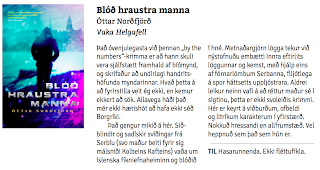 Literature critique Þorgeir Tryggvason writes in Kjarninn that Blóð hraustra manna is "exciting", with "colorful characters", for "lovers of thrillers" and "well conceived and thought out". I'm very happy, needless to say.